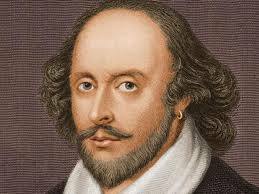 All the world is but a stage …..yowzer… did you know that the Bard is 450 this year. I imagine if you take it in a passing glance it does not seem like much of a big deal. I grew up in Stratford and in our schools and city the stories of William were commonplace and we really did not think much about them. When you break it down you really must scratch you head. Whose work had lasted half of a millennium? If it lasted (not counting religious doctrine) this length of time it must have resonated not only with 17th century patrons but every century since then. When you first read Shakespeare most are somewhat confused by the old English but I think that they doth protest too much…. He wrote of comedy, drama, history and some say romance. When you break down the basic stories there are countless modern movies that are based upon his work. Name 10 and I will offer a courtesy exam to you. How can these plays sustain life for all this time? It is in my opinion that they are based upon human truths and the plots endure time. Can you imagine that certain performance arts like Miley Cyrus or Lady Gaga will be even identifiable in 100 years let alone half a millennium? What in the world does this have to do with health care and chiropractic? Chiropractic is based upon a fundamental principle that when we are interference free and function at our highest or optimum level we express health and wellness. These fundamentals have not changed since 1895, the same era when medical physicians were using leaches and draining blood to change health. Around the same time a British surgeon Dr Joseph Lister was just introducing the concept of antiseptic. Medicine is constantly changing as the experimental things become less than desirable…can you say Thalidomide…don’t get me wrong modern research has the capability of bionic eyes, limbs and the list goes on…..but at what cost to a civilization that is charging toward 9 billon people is the question and one for another day.My underlying point is that I truly believe that fundamental and essential chiropractic will last the test of time whereas the question remains for civilization.